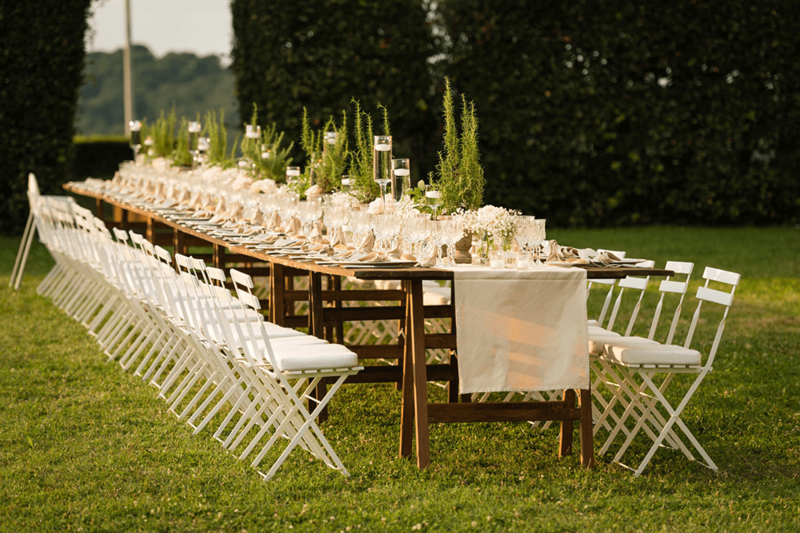 For the average sartorialist, a summer wedding is nothing short of a dream come true. However, if you don’t happen to be the type of gentleman who knows his voile cloth from his wool blend then it can pose a rather sweaty dilemma. Aside from being the most popular time for nuptials, the key thing about summer is that it tends to be rather hot. Far from ideal conditions to be getting wrapped up in a dark, three-piece suit and a heavy cotton shirt, to say the least. Attending a summer wedding looking stylish and without melting into a puddle before the speeches commence is something akin to an art. In fact, it can seem like witchcraft to the uninitiated. But, supernatural it is not. And with the right knowhow, any man can pull off a summer wedding. The Dress Code: What Does It Mean? 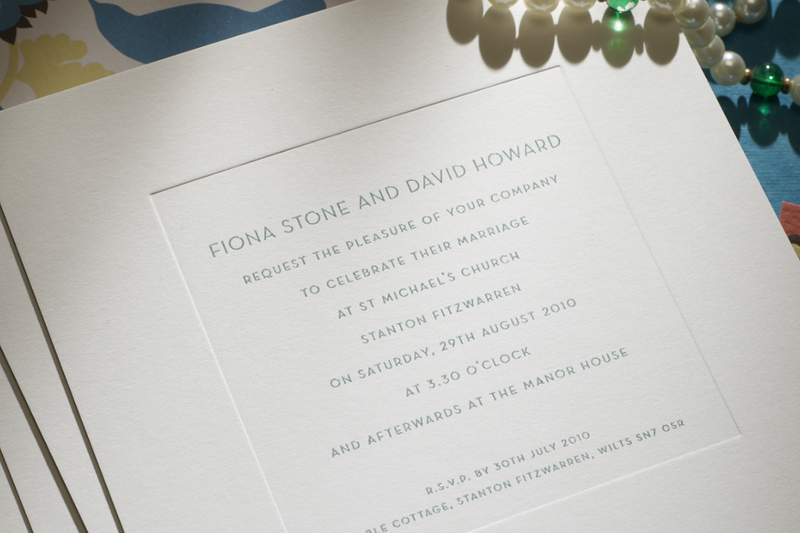 The most important thing to take into consideration before selecting your summer wedding attire is to pay close attention to what it says on the invitation. Generally speaking, there will be a dress code stated, giving you a marker against which to gauge what is and isn’t appropriate. Given the sheer number of these codes, it can be tricky to know what’s what. Also, there might not be a dress code on the invite. So, before you turn up to a smart casual ceremony in your dinner suit, here’s a quick crash course in the fundamentals. 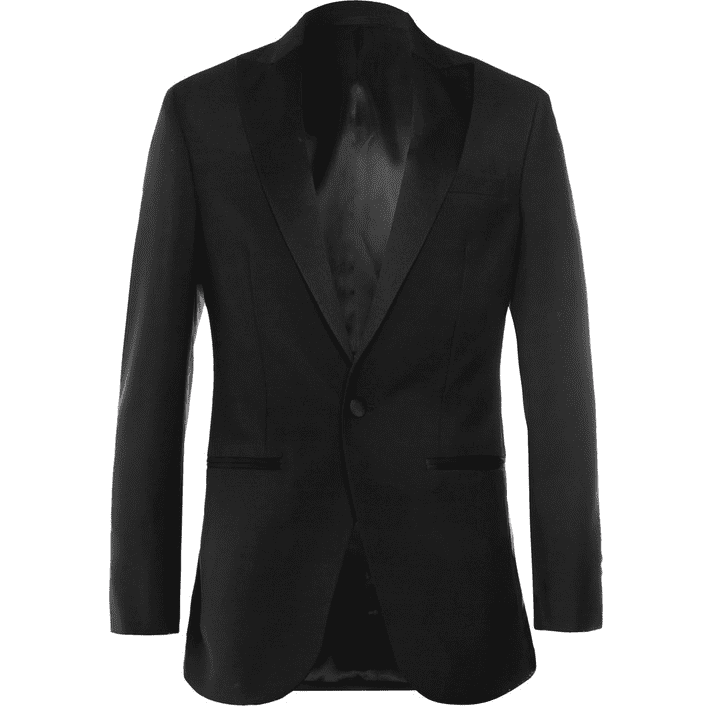 Black tie is the most formal type of dress, aside from perhaps white tie. It’s unlikely you’ll find this on a summer wedding invite. But if you do, this is what you need to know: black tie means dinner suit – or tuxedo, if you’re an American. Don’t turn up in anything else. The issue? You’ll likely sweat. 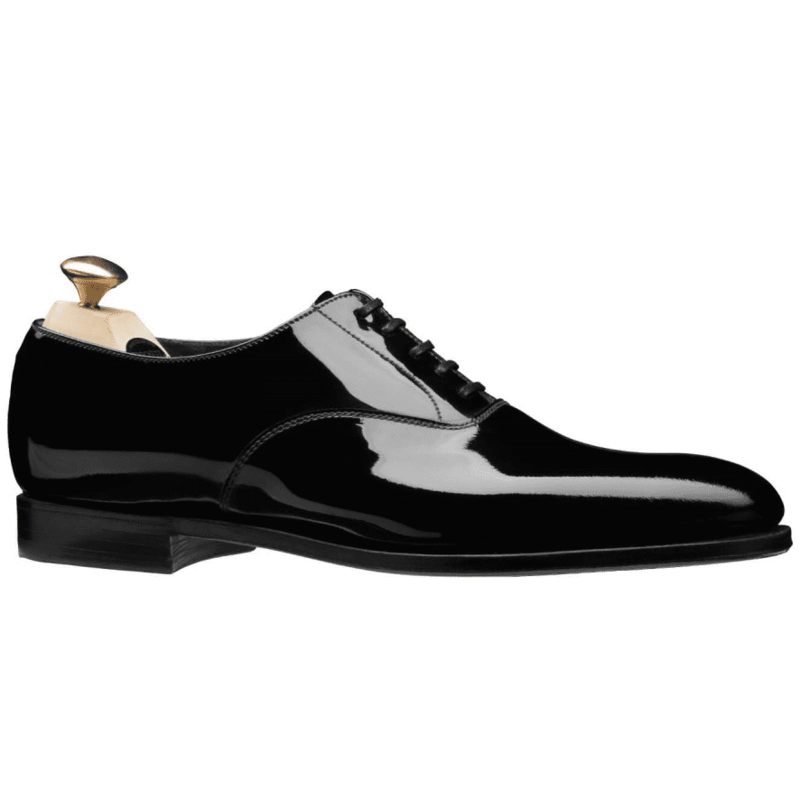 Aside from that, you’ll want a pressed dress shirt with a bib front, a pair of black Oxford shoes – patent leather is traditional. And, of course, a black bow tie such as ‘The Casino Royal’ Bow Tie, as seen on James Bond, also from Turnbull & Asser. One of the more confusing dress codes. Black tie optional really just means your hosts will be wearing black tie but are courteous enough to understand that you may not wish to. To play it safe, it’s always better to err on the side of caution and go in a dinner suit (see above). If for some reason this isn’t an option, a normal two-piece suit worn with a tie is perfectly acceptable too. 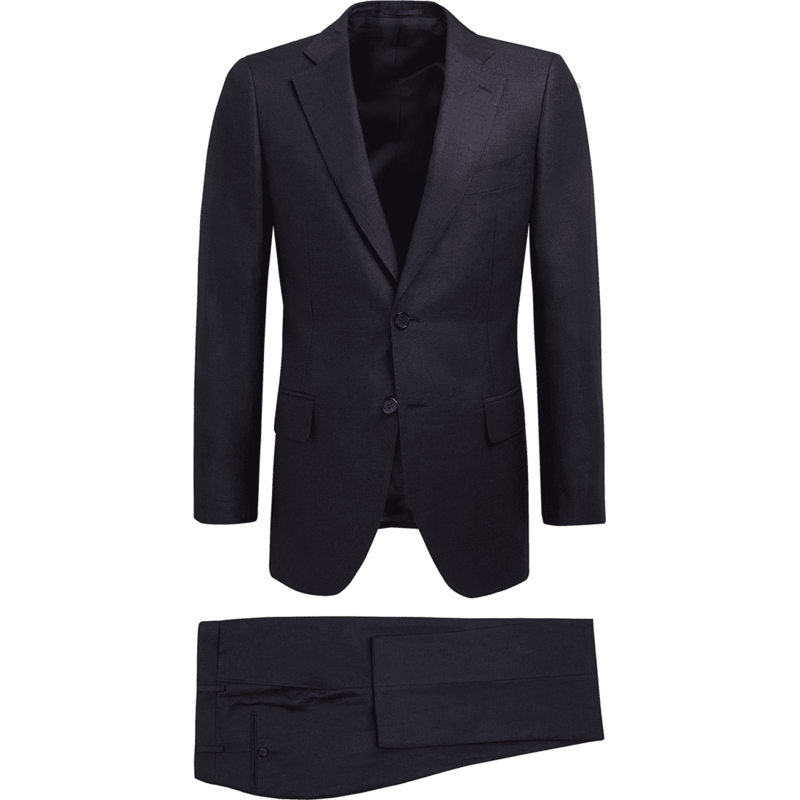 Just make sure it’s dark and as close to a dinner suit as possible (think peak or shawl lapels). Congratulations, you’re not formally required to burn to a crisp in a dark, wool suit. Summer smart is a popular dress code for warm-weather weddings as it allows guests more freedom to play around with colours and materials. 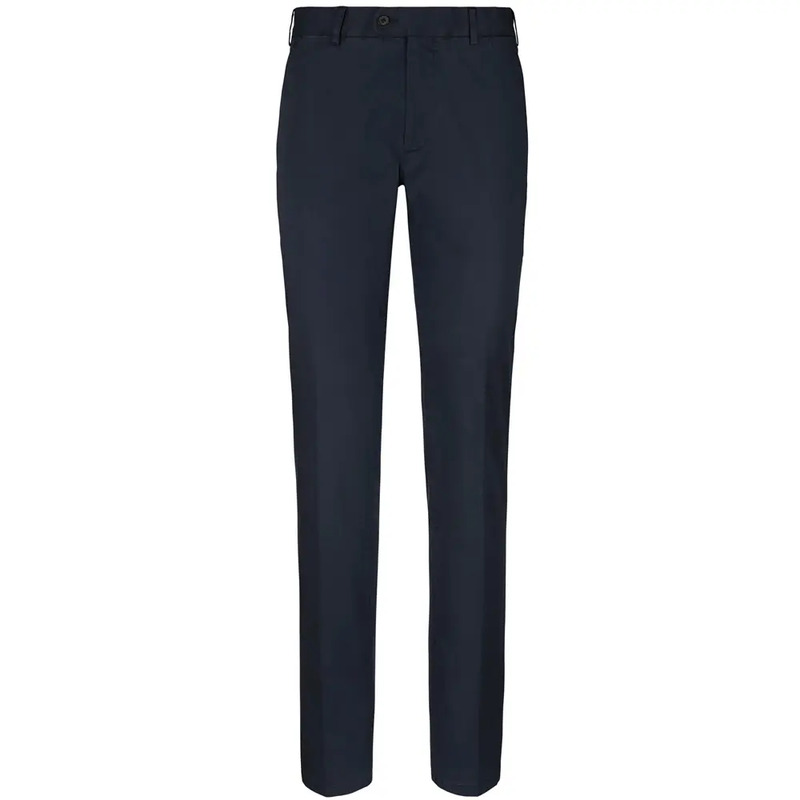 Tailoring in light, neutral or pastel shades work well here, as does navy. 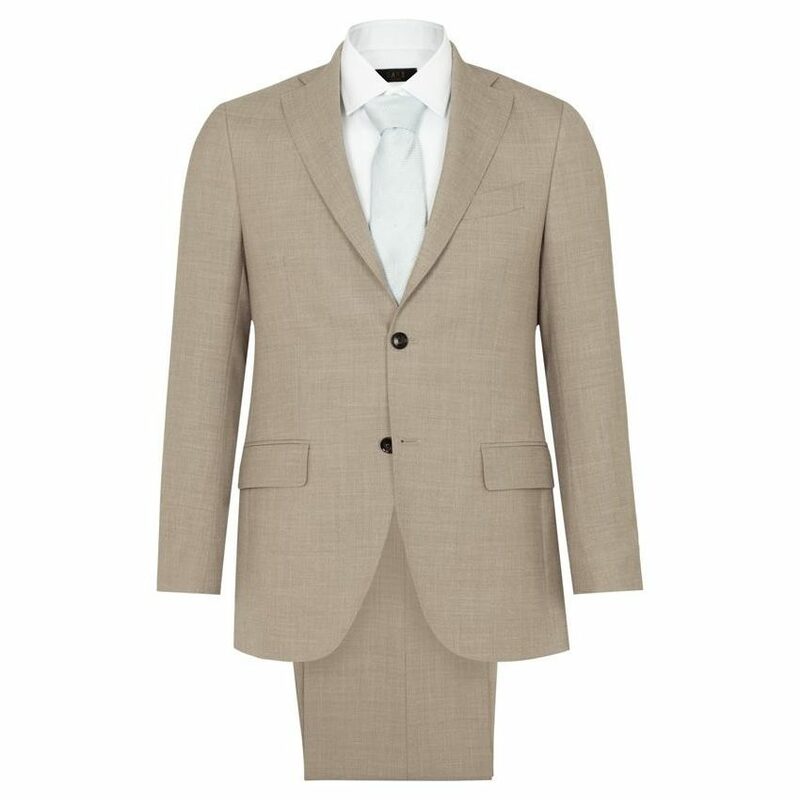 While opting for a linen or seersucker suit in place of wool or cotton will enable you to remain cool and classy throughout. 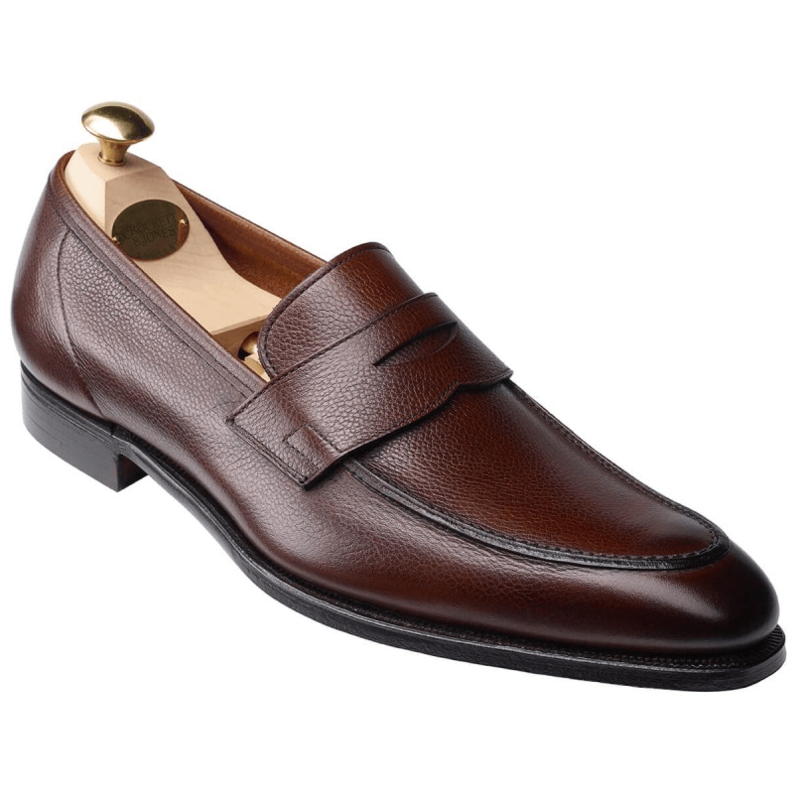 Team with a pair of brown loafers (see below). Feel free to ditch the jacket as another way of keeping cool. 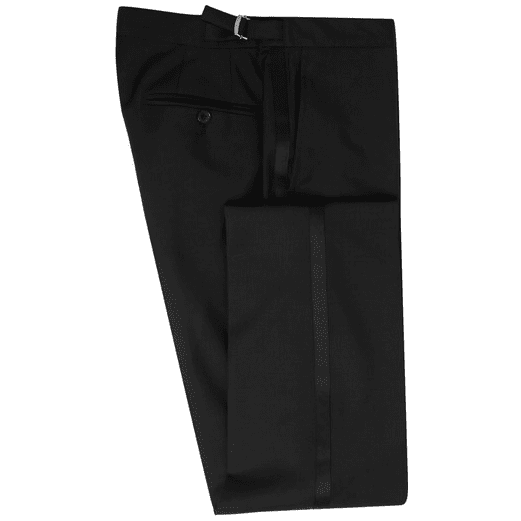 Or, if you feel it may be necessary to keep the sweat patches hidden but don’t want to be the only guest in a full suit (you probably wouldn’t be anyway), you could choose to wear separates instead. Footwear wise, you aren’t confined to just Oxfords, Derbies or monk straps; suede options, loafers and brogues are all perfectly suitable, too. It’s rare but a casual dress code on your invitation means you can more or less wear whatever takes your fancy. Even so, it’s always best to keep things on the right side of relaxed. In other words, it’s probably not wise to show up in a T-shirt and flip-flops – regardless of how hot it is outside. Instead, go for something along the lines of chinos or smart trousers worn with an Oxford shirt and some desert boots and some smart trainers. Something like a Common Projects Achilles Low is your friend here. We can’t say this is our preferred choice of wedding attire, hence no product recommendations. In short, cocktail attire means tailoring with a twist. For example, wear that patterned two-piece suit but perhaps swap the shirt for a plain white or even a printed tee. Again, separates will work as nicely as a suit. 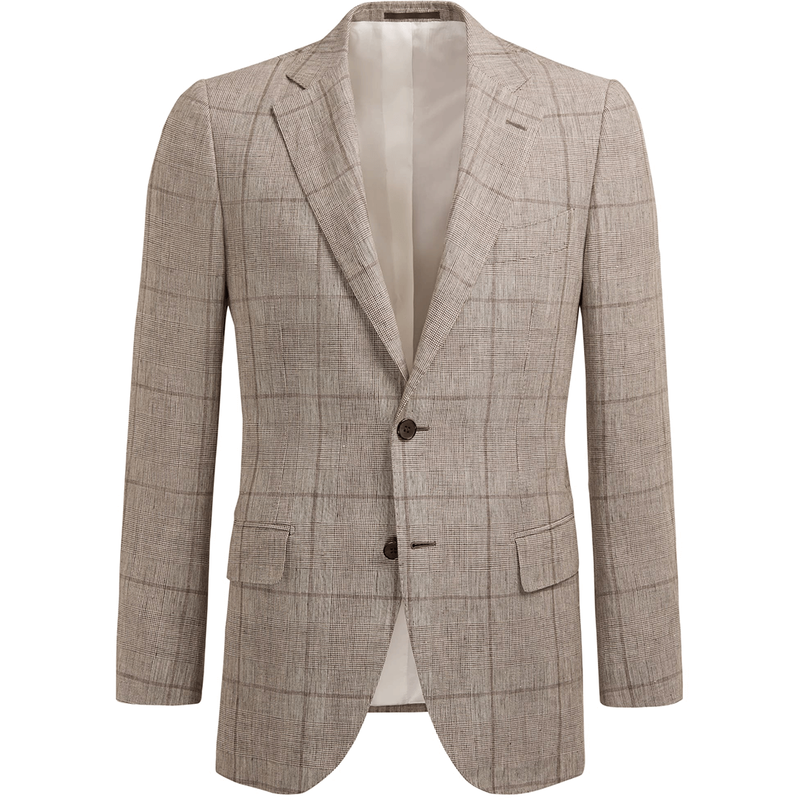 Try wearing a statement jacket with pared-back trousers and an unassuming shirt. Remember, no two items of clothing should ever be fighting one another for attention. As you may be beginning to realise, dressing for a summer wedding can be a complex affair, but it needn’t be. There are a few classic outfits that will work every time. If you don’t quite feel up to experimenting, these are the go-to clothing combinations that will always see you right. Tailoring traditionalists may sneer and, it’s true, it isn’t for everyone. 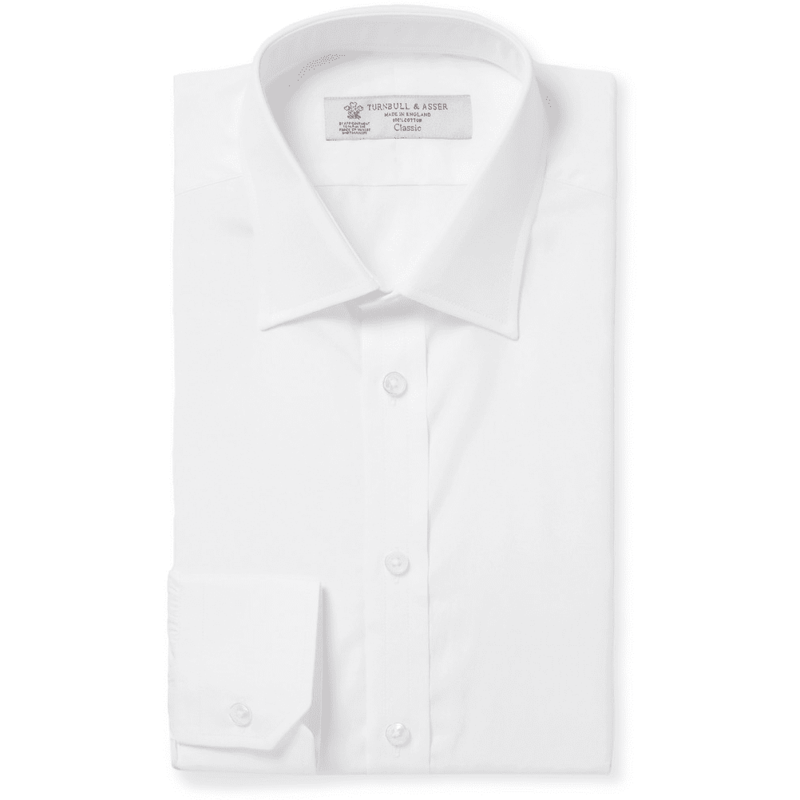 However, linen, in all its crinkled, crumpled glory, is the perfect fabric to get you from church to end-of-night chariot sweat-free and feeling fresh. For the unadventurous, navy is the safest option. 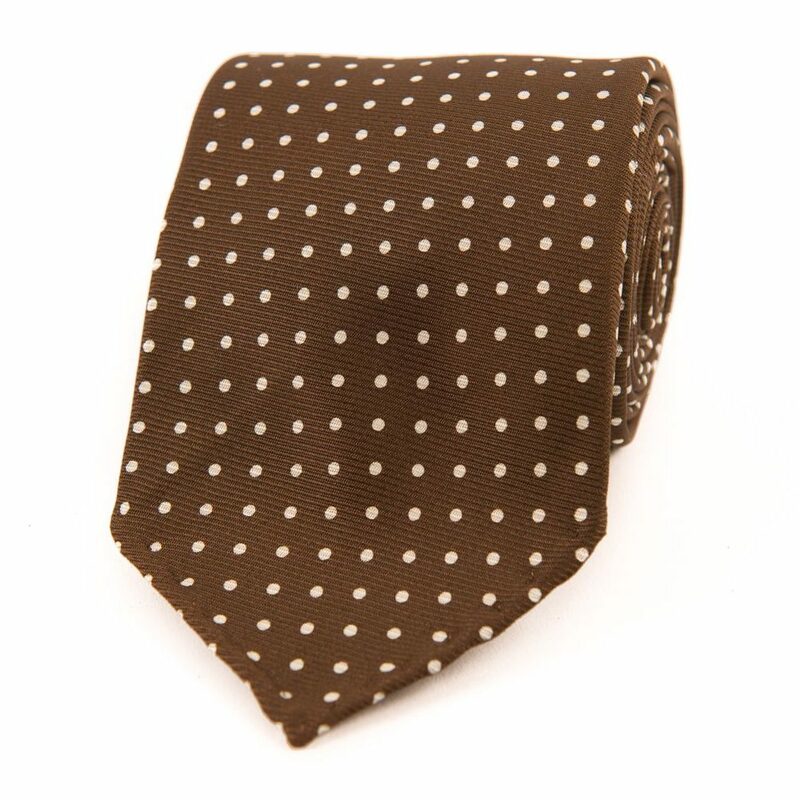 Wear it with a white shirt, black monk strap shoes and from a distance, nobody would be able to tell the difference. 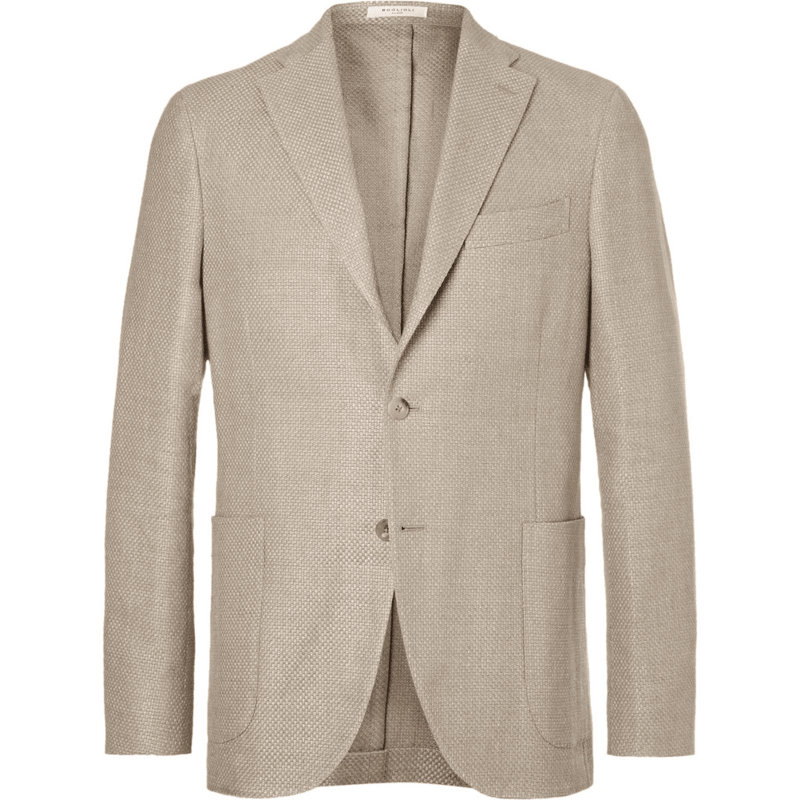 If you’re happy to try something different (and the dress code permits it), a beige or sand shade is the classic colour for linen tailoring. 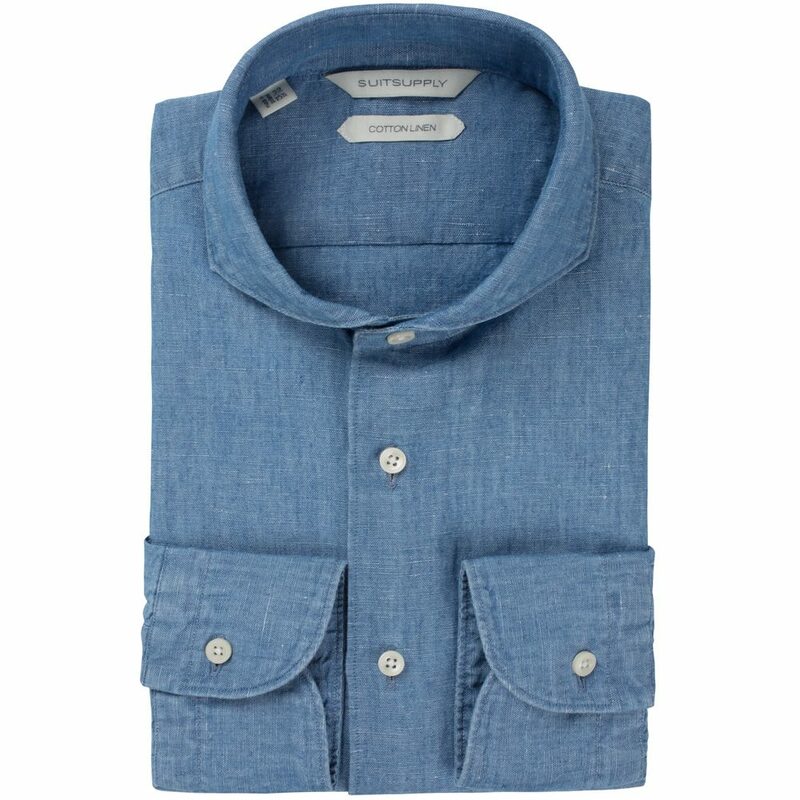 Opt for a white or light blue shirt, or try wearing it with a chambray or a patterned shirt to add a splash of colour. Conversely, steer clear of a plain white suit to avoid going ‘full Branson’. 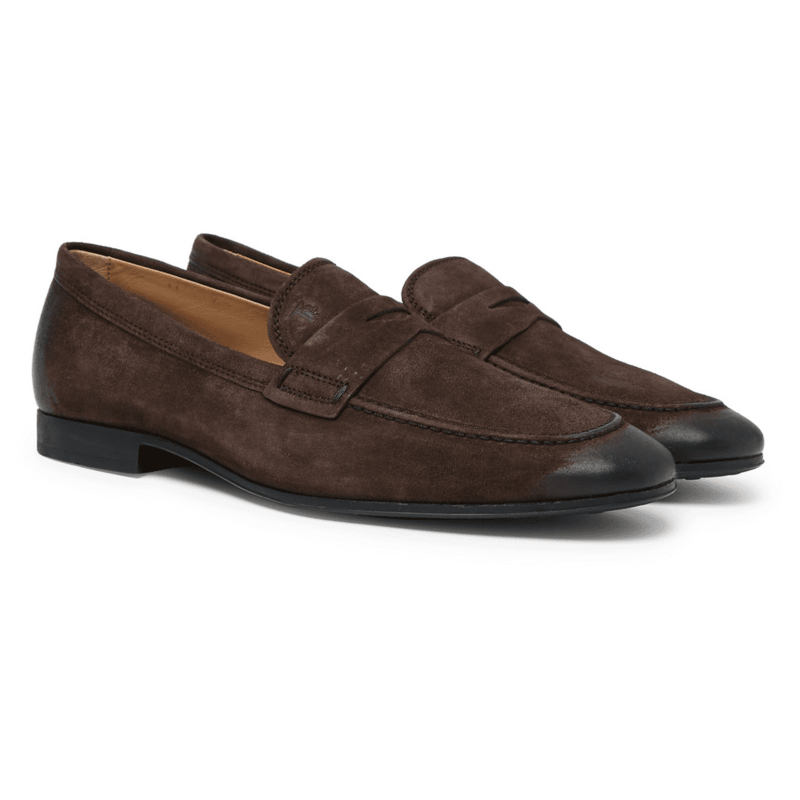 When it comes to shoes, a brown leather loafer is king. A dark jacket and light pants combo is always a surefire winner. But if you’re feeling bold, a statement jacket can work nicely too. Think something patterned or printed, worn with low-key trousers and a simple shirt or tee so as not to detract attention. There are no hard and fast rules when it comes to matching footwear with separates. But generally speaking, most smart styles will work well. You’ll likely have one of these in your wardrobe already, which is fine – but be warned, if it’s a wool suit it will be much warmer than linen. 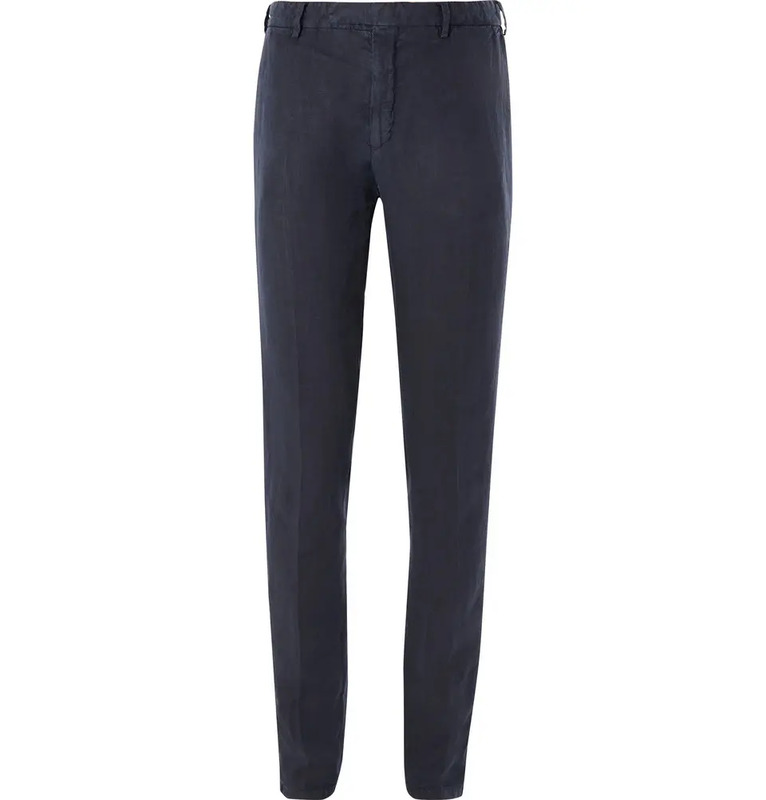 Colour wise, grey and navy are your best bets here. Stay away from black as A) it can come across as a bit morbid and B) you will be very, very hot. 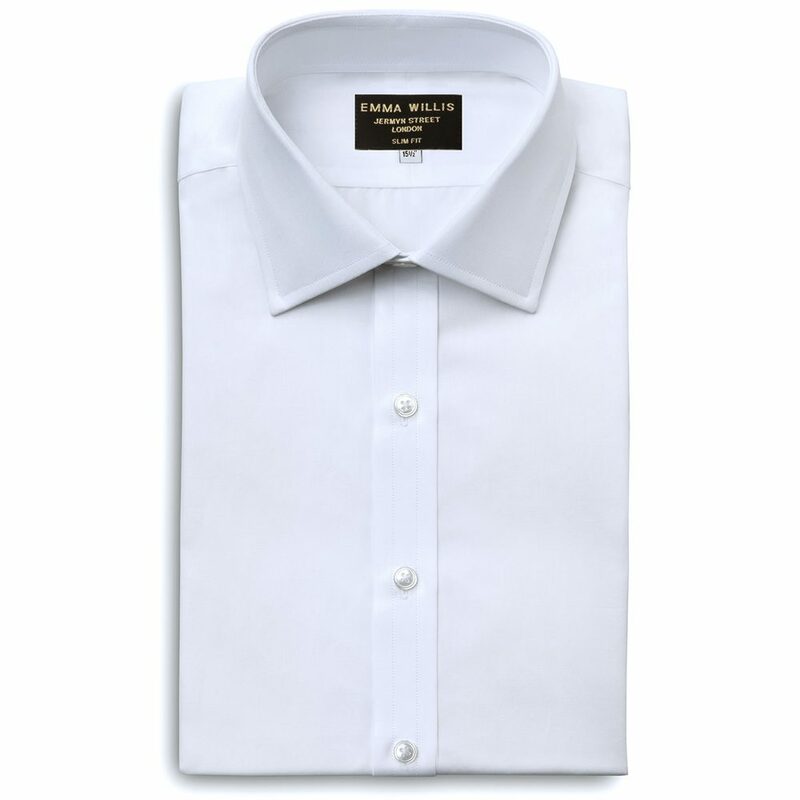 Your shirting choices rest with the dress code but a white or light blue Oxford is a fail safe option for pretty much everything bar black tie. Keep the accessories clean, remembering not to match your tie and pocket square, but feel free to let a bit of personality shine through. 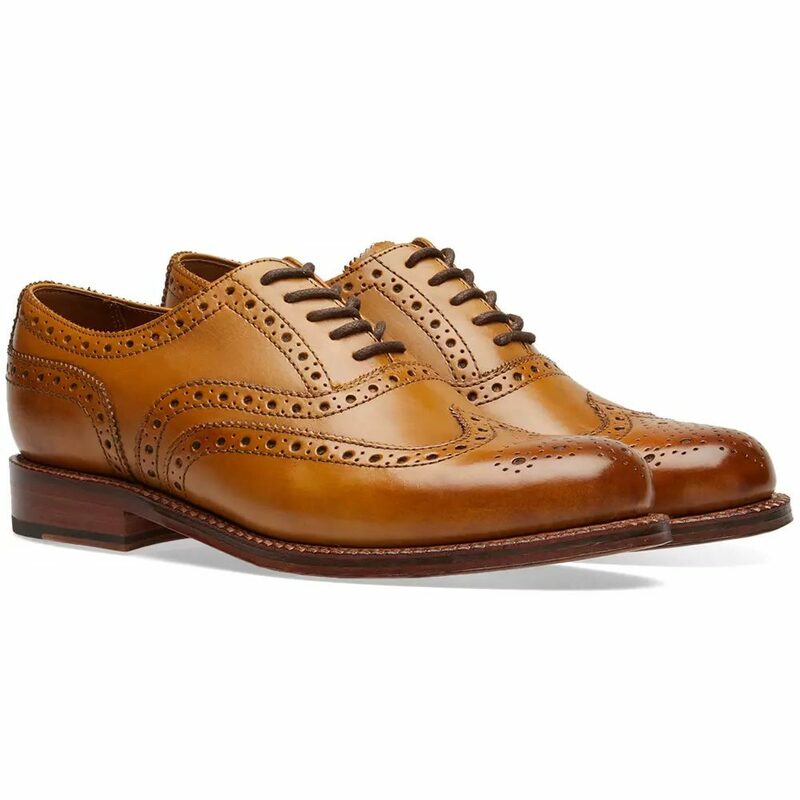 Further south, your footwear should be smart and classic. 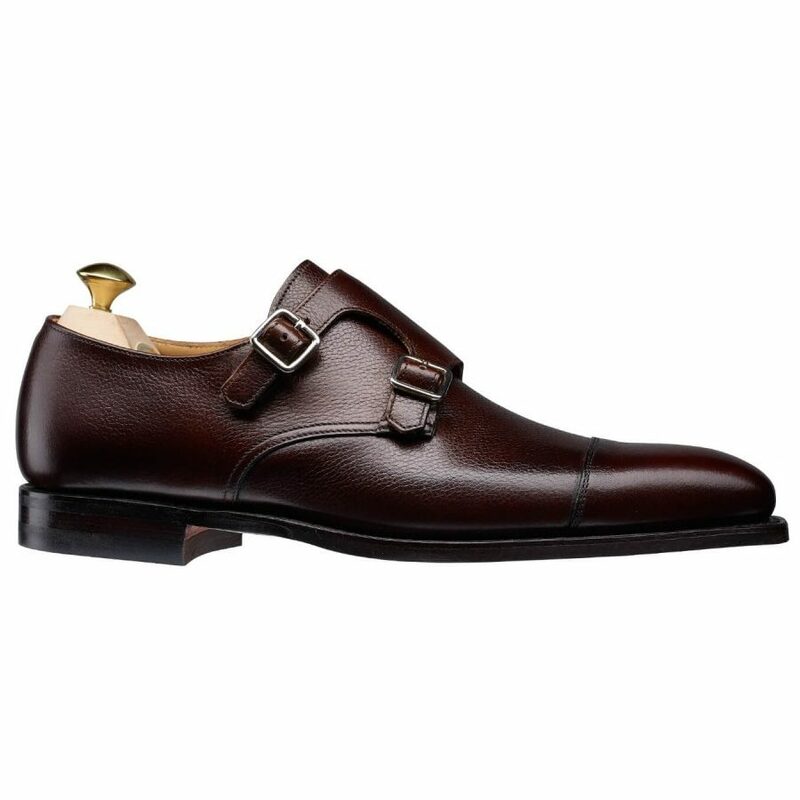 Try a double monk strap, a simple Oxford or a Derby to keep things refined. It’s extremely tricky to look suave and sophisticated when your face has taken on a sort of beetroot colour and you’re sweating from every pore on your body. Aside from periodically dabbing yourself with your napkin and hoping none of the other guests notice, there is one thing you can do to alleviate it. The key lies in a bit of forward planning – aka picking the right materials for the job. Male model David Gandy may swear by a navy wool suit, but even he knows that there’s a limit to what it can do. And, unfortunately, keeping you cool in thirty-degree heat doesn’t fall under its remit. The solution? Be clever with your choice of fabrics. Here’s how. A linen suit is the perfect breezy option but some men can be put off by the ageing hippy connotations (Branson, we’re looking at you). But wear it right and the results will speak for themselves. The secret lies in making sure the fit is immaculate, while adding contemporary touches with your choice of shirt and accessories. For example, a will-fitting, sand-coloured linen two piece may sound a bit bland. However, team it with a chambray shirt, a patterned pocket square and some laid-back suede loafers and you’ll soon change your mind. 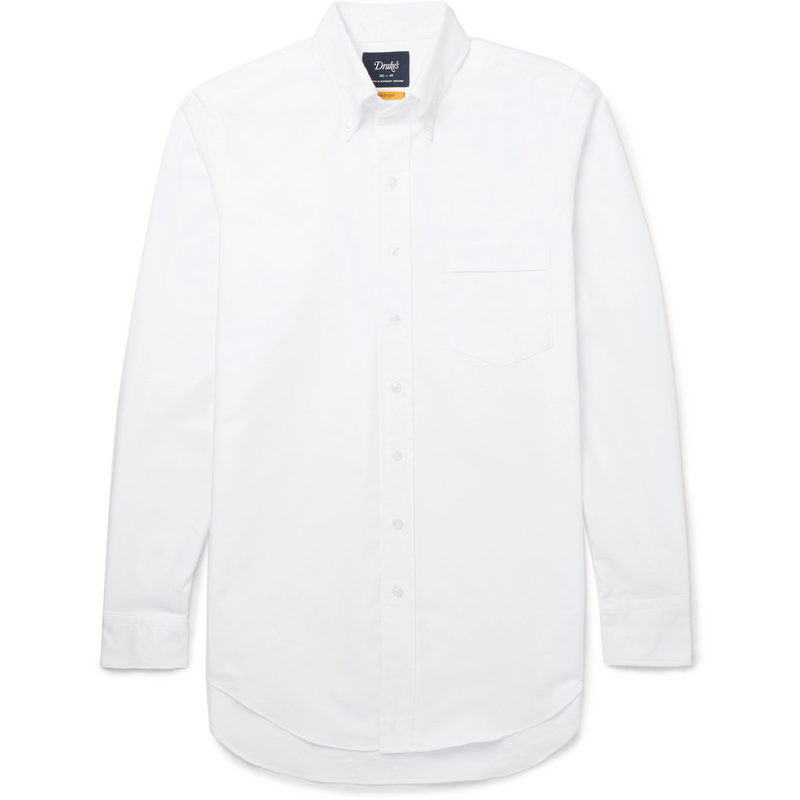 Next to linen, seersucker is one of the definitive warm-weather fabrics. 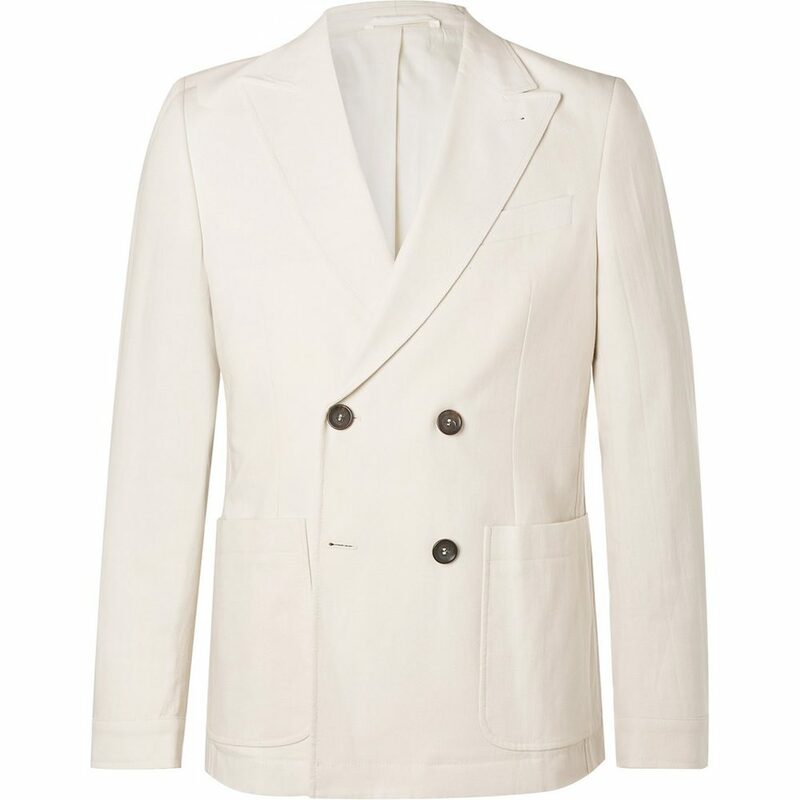 It’s light, it’s cool and it lends itself perfectly to spring and summer wedding suiting. 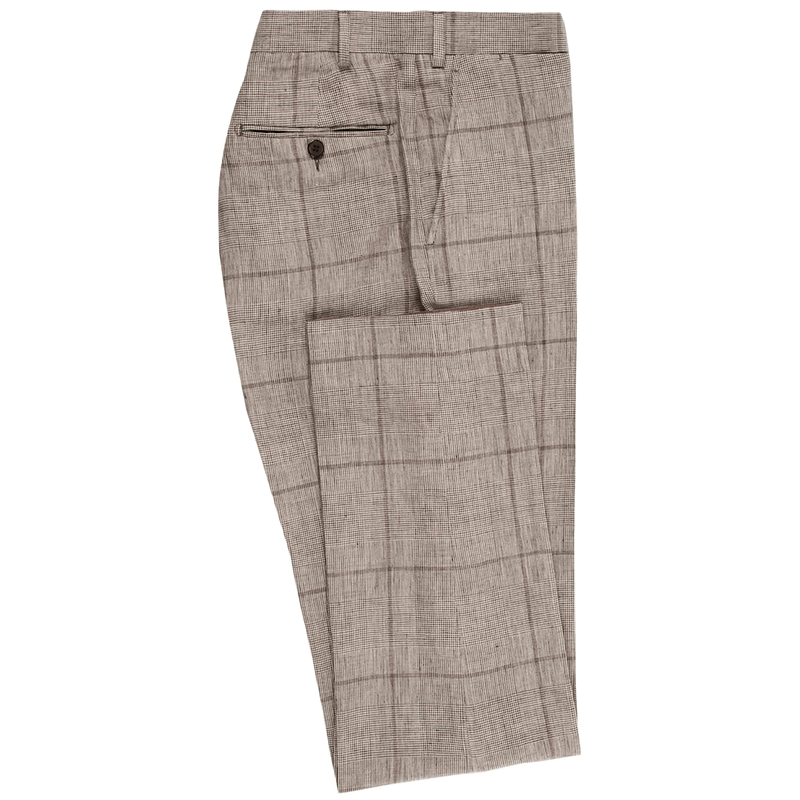 The material tends to come in striped or checked patterns that look great on laid-back, unstructured tailoring. 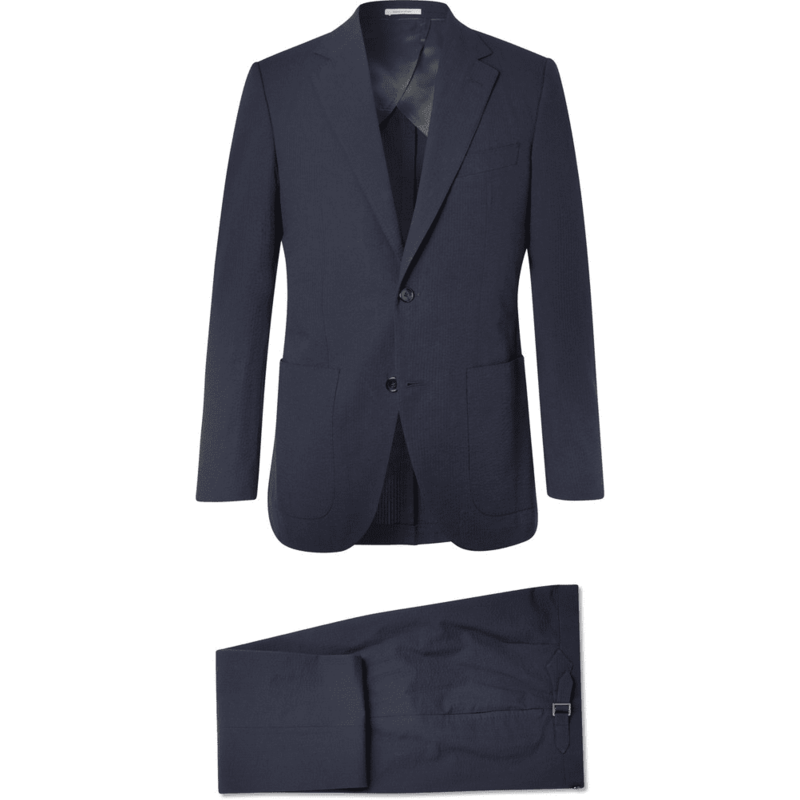 However, plain options are also available, meaning it is still possible to do the classic navy suit without bursting into flames. 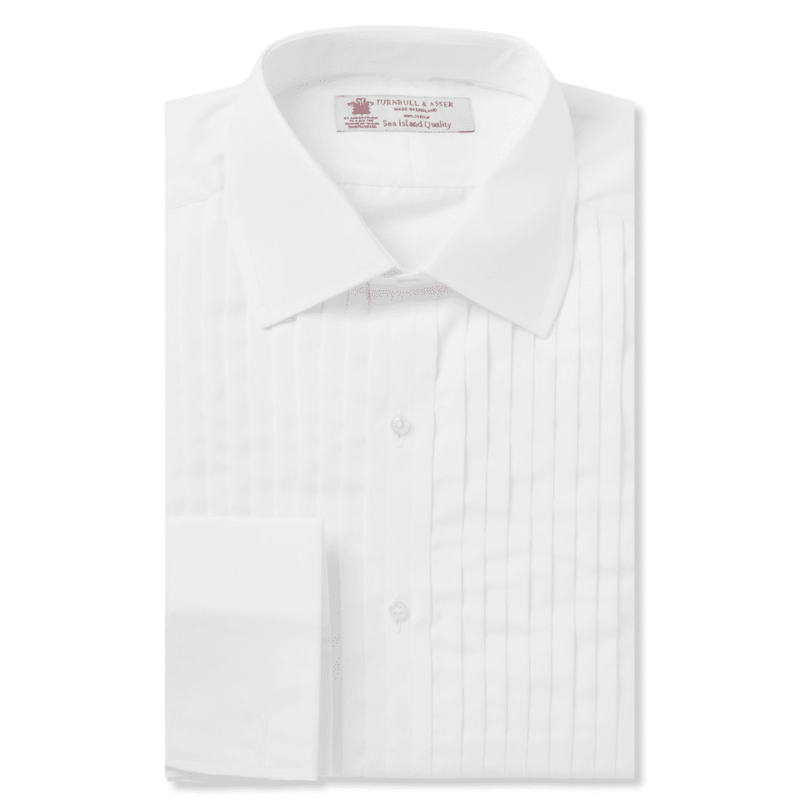 It’s not all that common, but when it comes to shirting, voile cloth can be the difference between comfort and spontaneous combustion. This ultra-lightweight cotton fabric is semi-transparent, meaning it’s not the sort of thing you want an entire shirt to be made from. But if you’re having one specially made, requesting the back to be cut from voile is a great way to keep things airy and cool without raising any eyebrows at your summer wedding. Denim shirts are a key men’s fashion trend at the moment and they can look great when paired with suit separates or casual tailoring. The problem is they’re not exactly the most breathable option when the sun comes out. 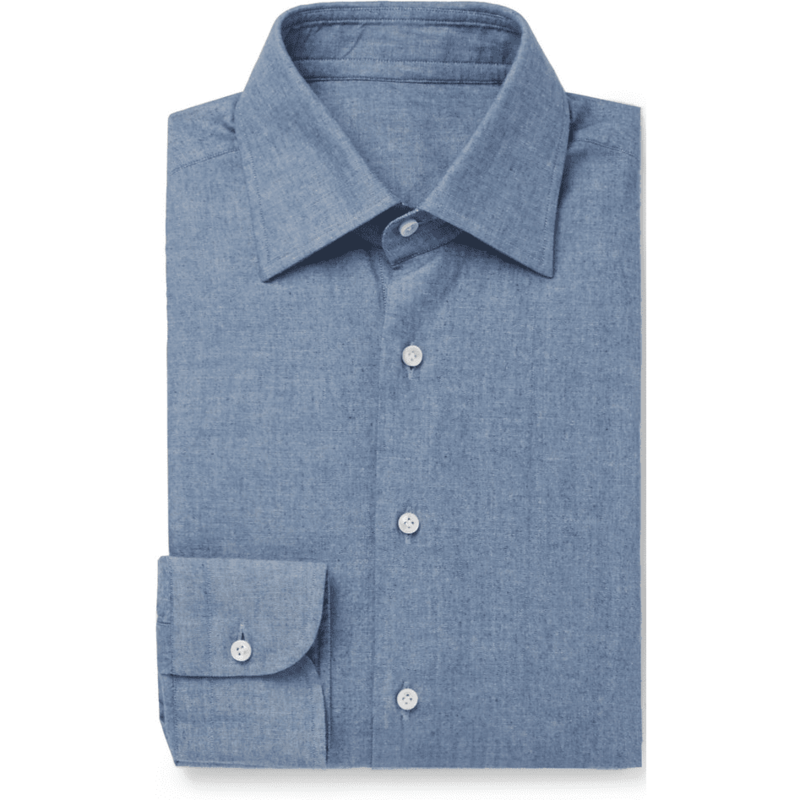 Chambray is a slightly lighter alternative, offering a similar look from a much thinner fabric.